Ellen Gormley is here to show Deborah how to stitch up the Rose Messenger Bag, worked in easy crochet with a cross stitch rose. 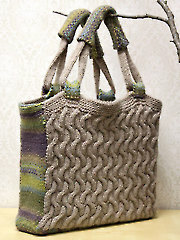 Lena will then show how to knit the Visby Purse which features cables and a linen stitch side panel. 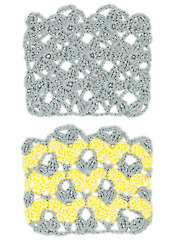 Ellen is also in the stitch corner with a crochet Lazy Daisy Stitch. 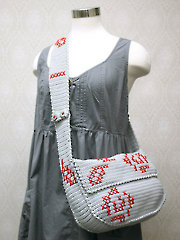 Disappointed in the video I bought on how to make the Visby Purse. Too much is left out including how to put the bag together. I have watched so many videos on the linen stitch but still not sure I am doing it right since you never finished a row. I am getting very frustrated since I planned on this for a Christmas present. 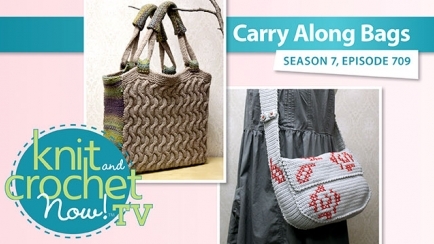 Patricia - this episode can be purchased here https://www.anniescatalog.com/knitandcrochetnow/episodes/detail.html?prod_id=129132&series=2. I saw the episode a few weeks ago. It caught my eye and I want to give it a try. Always looking for new things to make which I mostly give as gifts.